Neptune marks the border between the conventional planets and deep space. It is the window through which you peer into your own mystical vastness-and through which that luminous vastness peers back. This mysterious window has forever hypnotized humanity. Some of us-those who have truly cleaned the glass-are the precious mystics who light our paths. Others, flooded by imagery pouring up from the depths, are the treasured artists who inspire us. Legions more, overwhelmed by their own minds, have sought refuge, disappearing into whiskey bottles and video screens. 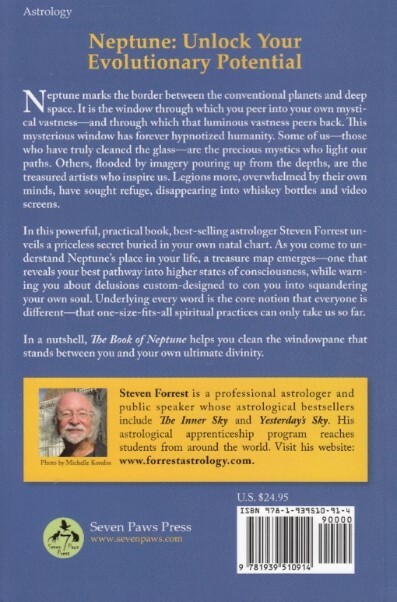 In this powerful, practical book, best-selling astrologer Steven Forrest unveils a priceless secret buried in your own natal chart. 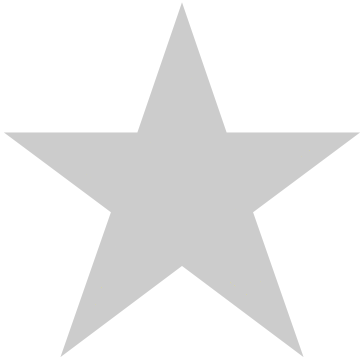 As you come to understand Neptune's place in your life, a treasure map emerges-one that reveals your best pathway into higher states of consciousness, while warning you about delusions custom-designed to con you into squandering your own soul. Underlying every word is the core notion that everyone is different-that one-size-fits-all spiritual practices can only take us so far. 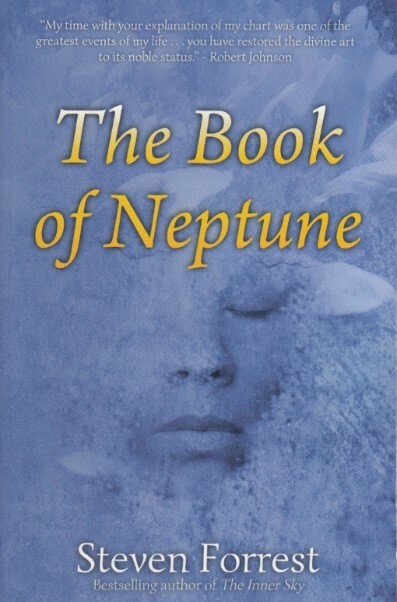 In a nutshell, The Book of Neptune helps you clean the windowpane that stands between you and your own ultimate divinity.